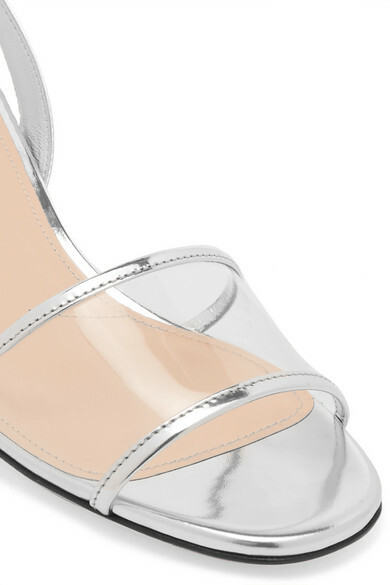 Prada's sandals are made from glossy silver leather and have a wide clear PVC strap across the front - a key trend this season. The flared block heel is ideal for days spent on your feet. Wear them with everything from jeans to elegant dresses. Shown here with: Goldsign Jeans, Co Sweater, Prada Shoulder bag.